The PIL said as much as 60 lakh litres of water was to be used for maintaining cricket pitches in the three venues nominated in Maharashtra for IPL 2016. 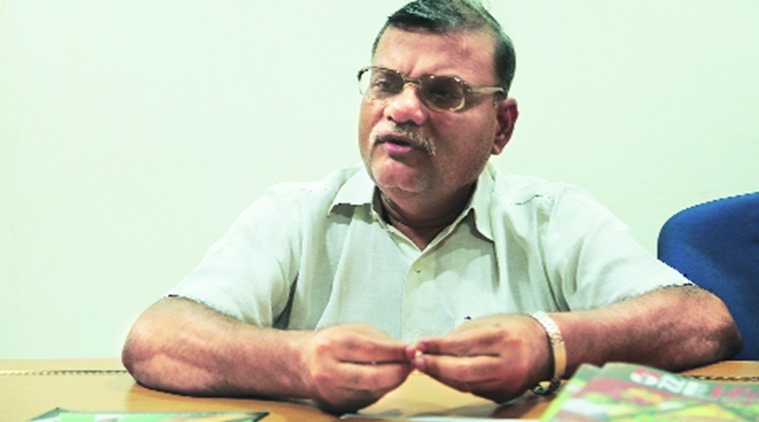 For Surendra Srivastava, national president of NGO Loksatta Movement, which filed a public interest litigation (PIL) leading to Indian Premier League (IPL) matches being shifted out of Maharashtra from April 30 onwards, the water shortage he was facing was a far greater issue than his love for the game. The avid cricket fan who played corporate cricket himself says he and other members of the NGO, especially those living in Thane, felt the shortage first hand. Filed by the Foundation for Democratic Reforms and Loksatta Movement, the PIL aimed to find a solution to the water woes of people, but the April 13 order asking the BCCI, state cricket associations and IPL franchises to move the matches out of Maharashtra was “unexpected”, says Srivastava. “We were only hoping to find solutions to the water scarcity problems,” he adds. “For the last two to three months, our society in Lalbaug has been depending on tanker water. Several other members of the NGO who live in Thane were only getting water supply twice or thrice in a week. Chief Minister Devendra Fadnavis was appealing to people to play a dry Holi and this prompted us to think of seeking restraint on playing IPL in the state so that the water thus saved could be used to meet the water needs of people,” says Srivastava. On April 13, the HC observed that shifting matches to adjoining states would at the most lead to financial losses but “the harm caused may be greater if matches are allowed to continue”. The BCCI and state cricket associations have also been directed to supply 64 lakh litres of water to villages nominated by the court — the same amount that would have been used for maintaining the pitches. 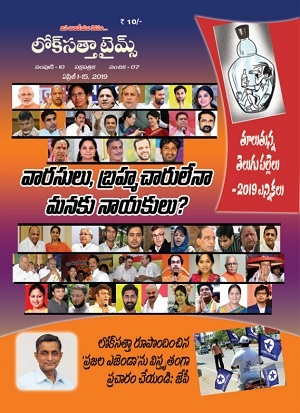 Loksatta Movement, which works for political and government reforms, is registered in Hyderabad and has been operational since 1996 (since 2001 in Mumbai) . “We have filed several petitions including the PIL in the Supreme Court seeking disclosure of assets and criminal records of political candidates, and were also involved in the cancellation of 2G licences,” adds Srivastava. “When you read about people in areas like Latur having to survive without water, you tend to question priorities…I have nothing against the game. In fact, I love cricket and have played corporate cricket myself ,” he says, pointing to a photo in which he is seen receiving a certificate. “I prefer to watch matches on TV rather than going to stadiums,” he adds. With the PIL kept for hearing on May 2, he hopes the petition leads to greater implementation of the government’s policy in water management. “People have written letters congratulating us. Even the youth who watch IPL have come out in support,” says Srivastava. Hearty Congratulations. Great Success at National Level .Excellent Social Service . Cr.pc Requires Many Changes . All Govt. Rules and Procedures Defend Govt.Employees .During they Spoil Life of many Indians , by helping his Opponent by Money or Local Ruling Politician Influence .After Employees Retirement Only , Govt.Depatment Searches and Seizes Crores of Rupees as Dispropornate Assets in Possession .By it Govt. may get some TAX , But Sufferred Indians Do not get any Relief .Thus it is of NO Use to Common Indian . Thus Rules Require Changes - for Transparency and ACCOUNTABILITY . I will Start with CR.PC. Amendments Required to Bring Transperancy and Accountability of Concerened Police and Govt.Employees . How to ahead to get tem Implemented . 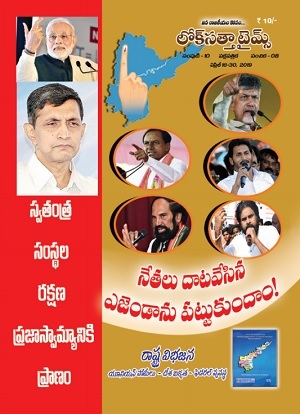 I require LOKSATTA Help . కేజీ గ్యాస్ పై నిర్లక్ష్యం తగునా?